Although electric toothbrushes are popular these days, many of us still use manual toothbrushes. Dentists have always told us that with patience and the right brushing technique, a manual toothbrush can give a cleaning as good as an electric toothbrush. There are many toothbrushes on the market, and all manufacturers claim that their toothbrushes have some unique features that make them better. In this article, we will try to help by providing you with our review of 10 top manual toothbrushes. The Colgate 360 Optic White Platinum Toothbrush has stain erasing cups that with the toothpaste helps to remove surface stains. It has a spiral bristle head that polishes away the stains better. The cheek plus tongue cleaner helps removes odor-causing bacteria. 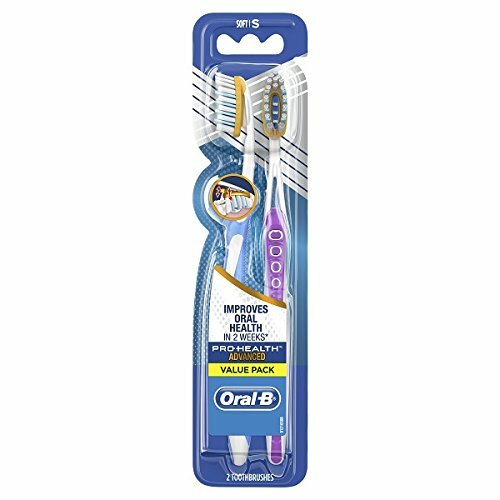 The Oral-B 3D White Pro-Flex Toothbrush has flexing sides that Oral-B claims to adjust to the curves and contours of an individual?s teeth and gums to provide more thorough cleaning. There is stain eraser that polishes your teeth gently for better whitening. According to Oral-B, the stain eraser works with the bristles and helps remove up to 90% of the surface stains, including stains along the gum line and between teeth. The Colgate-360 Total Advanced Floss-Tip Bristles Toothbrush has tapered bristles with tips 17 times slimmer than regular end-rounded bristles, allowing it to reach deeper between teeth and on the gum line for a better clean, comparing to ordinary toothbrushes. The bristles can get to all the hard-to-reach places that ordinary toothbrushes cannot. It also has a wrap-around cheek and gum cleaner. The bristles, although thin, have a standard softness that most people are used to and feel comfortable. The Oral-B Pro-Health Clinical Pro-Flex has flexing sides that Oral-B claims to adjust to the curves and contours of an individual?s teeth and gums to provide a more thorough cleaning, including the gum line, compared to an ordinary brush. The flexing sides also make it more gentle on gums. 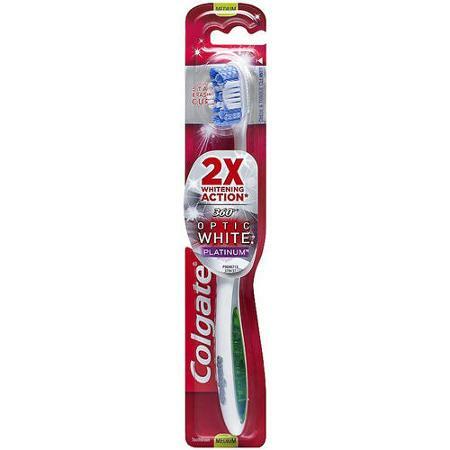 The Colgate MaxFresh Toothbrush has angled bristles of different heights, much more so than other toothbrushes, that really better cleans hard-to-reach places in your mouth, like behind the molars. It has a tongue cleaner that helps to remove the bacteria on the tongue. 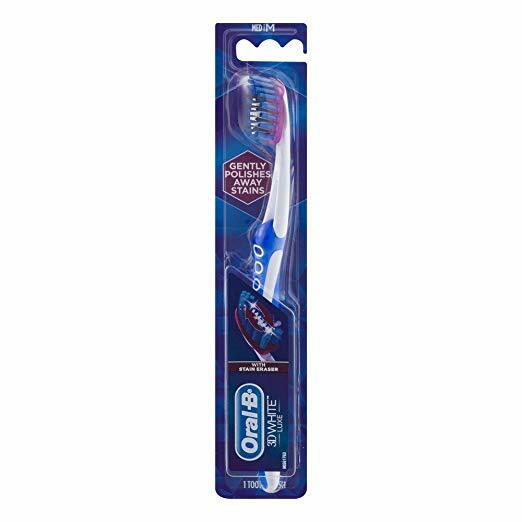 Together with the multi-height bristles, it does a good job of reducing bad breath and plaque. The Oral-B 3D White Advantage Vivid Toothbrush has polishing cups that surround each tooth for a deep cleaning. The toothbrush also has a unique power tip brush head that can get into tight spaces around your teeth. The bristles, though soft, are as soft as some other toothbrushes. It does an excellent job of polishing and whitening the teeth. 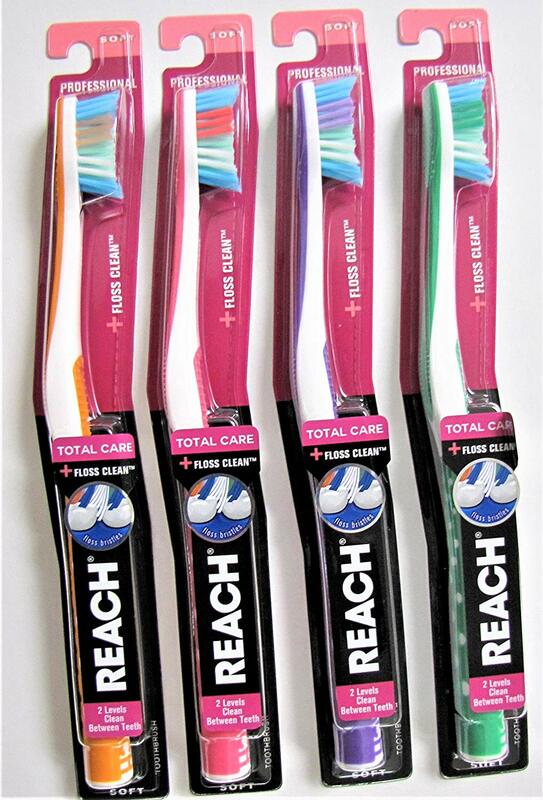 The REACH Total Care Floss Clean Toothbrush has Floss-like bristles that clean better between the teeth also along the gum line. It has a cleaning tip design that better cleans behind the back teeth. There is a tongue cleaner as well. Together, these help to freshen the mouth and reduce plaque. The REACH By Design Toothbrush has center bristles that help to remove plaque while the sweeping outer bristles clean along the gum line. The cleaning tip can reach behind the back teeth for a better clean. 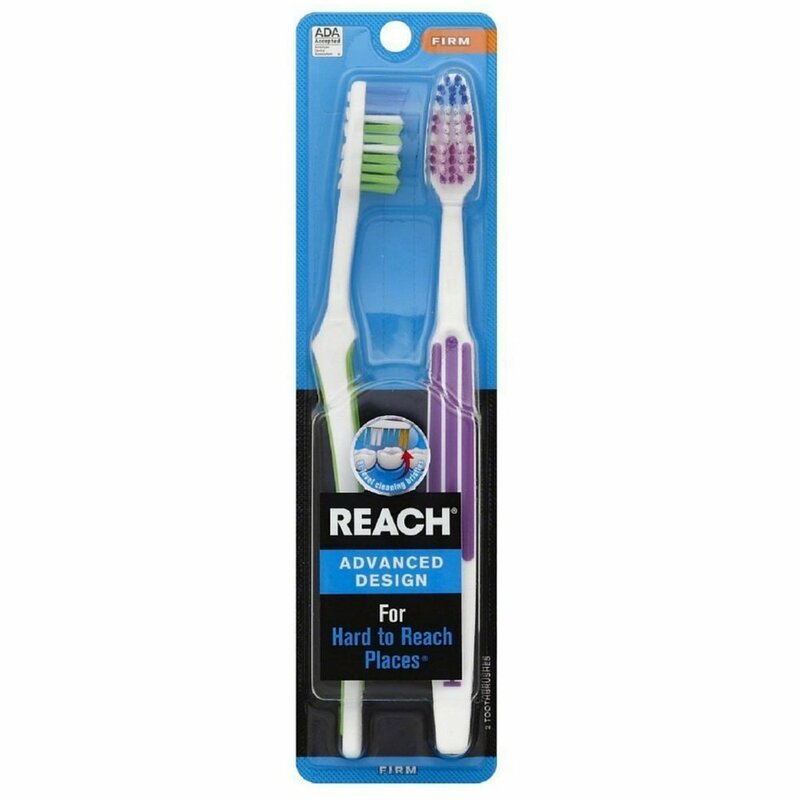 REACH By Design is a quality, well-built toothbrush. The Oral-B Pro-Health All-In-One 40 Soft Toothbrush has angled, criss-cross bristles that can reach the hard-to-reach places to clean away plaque and better clean along the gum line. The tongue plus cheek cleaner helps remove the odor that bacteria from the surface of the tongue and cheek is causing. There are indicator bristles that change color to tell you when to replace the toothbrush. 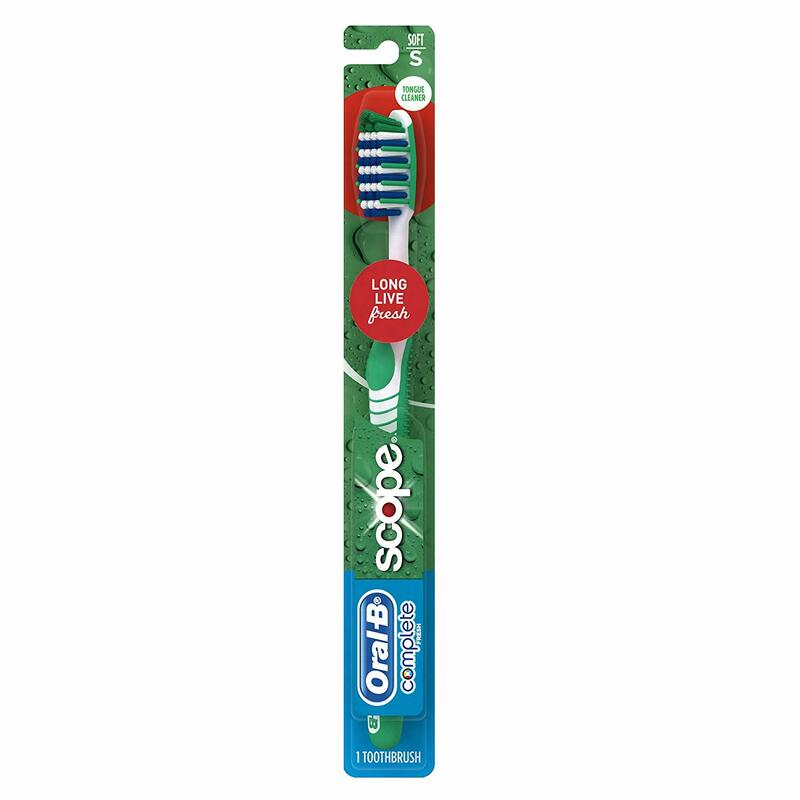 The Oral-B Complete Fresh Scope Scented Toothbrush has multi-level bristles that can clean the teeth better, whitening and removing plaque. It has a tongue plus cheek-cleaner to remove odor-causing germs from the surface of the tongue and the cheek and helps freshen breath. 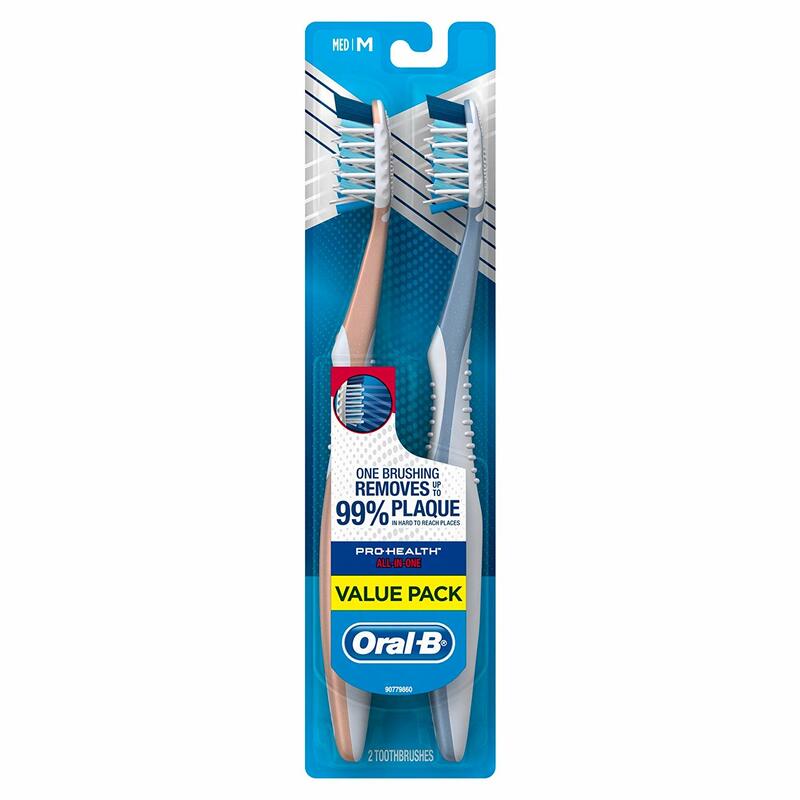 It is a good, basic toothbrush. The above are ten manual toothbrushes that are inexpensive and can do a good job in cleaning and whiten your teeth. 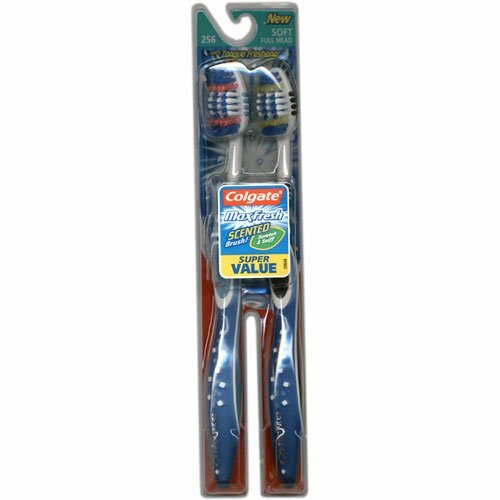 Use them with patience and a proper brushing technique and you will have better-looking and healthier teeth and gum.